Earn up to 1,990 reward points. An appealing mouthpiece for a wide variety of players. The JET is a bright saxophone mouthpiece with excellent projection, extra easy altissimo register and yet it has a very full bottom range that is easy to play. 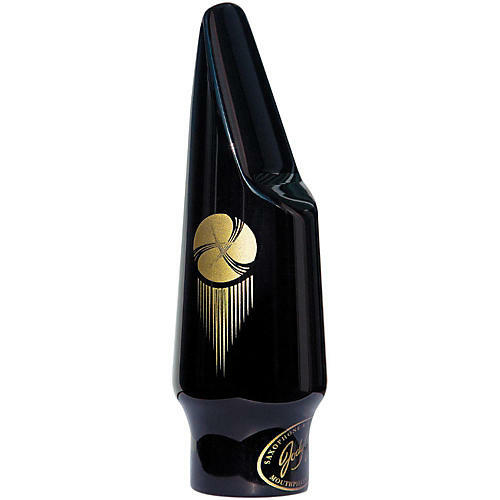 The JodyJazz JET Tenor Saxophone mouthpiece is free blowing, easy and fun to play mouthpiece that captures the full range of tonal qualities of the instrument. The JET has a clean, focused sound with strong projection and cut, while maintaining extraordinary versatility. Select tip opening from dropdown menu. It is excellent for Rock, Funk, Blues, Smooth Jazz and Latin Music, Reggae, Ska, Funk, Hip Hop, Top 40, Duranguense, Merengue, Salsa, Cumbia, Compa, Tejano, Musica Popular Brasileira, but at the same time it serves well for lead tenor in a big band. In other words the JET is a great saxophone mouthpiece that appeals to a broad variety of players. BRIGHT - To create a bright, free-blowing mouthpiece that is versatile, while having more projection than most mouthpieces. ALTISSIMO - To create a mouthpiece that easily produces great altissimo notes. The Altissimo is actually helped by the new shorter facing curve, which is brand new to the JET. GREAT PRICE - To make an affordable sax mouthpiece that can be made with the same cutting edge technology as Jody Jazz's metal sax mouthpieces, but costs much less. GREAT QUALITY - Each mouthpiece is individually play tested by Jody Espina or one of Jody Jazz's professional saxophonists on staff to ensure a perfect seal with the reed and proper response throughout the range of the saxophone. We demand and achieve the most rigorous quality control possible. 5 Axis CNC Machining - Allows for extremely precise manufacturing and repeatability. Hand Finishing - Expert hand filing to create the perfect tip rail, baffle combination. Unique Design - The unique inner shape of the JodyJazz JET Tenor Saxophone Mouthpiece gives it a unique sound and feel that combines power, fullness and ease of play. Order today and enliven your sound, whatever your preferred idiom. Copyright © Woodwind & Brasswind. All rights reserved.